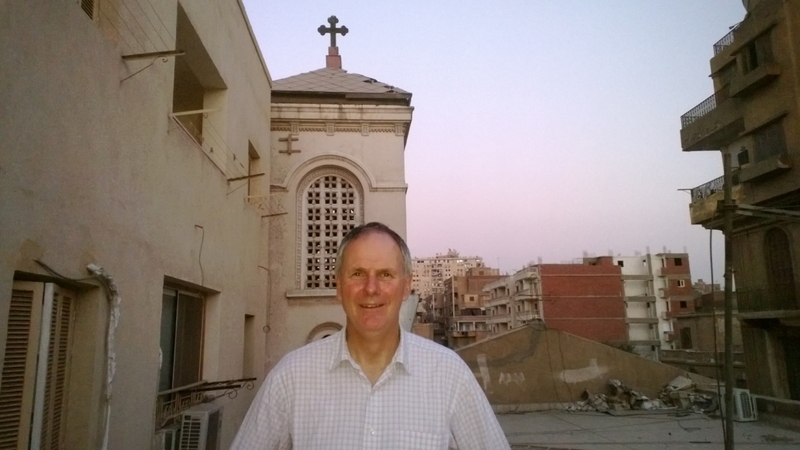 A representative of international Catholic pastoral charity Aid to the Church in Need (ACN) has given a first-hand account of last weekend’s mass protest in Egypt in which at least three people died in a drive-by shooting near Assiut’s Coptic Catholic Cathedral. Passing on appeals for prayers for peace from two senior clerics, ACN’s Neville Kyrke-Smith described being in Assiut, on the banks on the Nile in Upper Egypt, as the city was consumed by protests. The attacks took place close to Our Lady, Mother of Deliverance, Coptic Catholic Cathedral. There was unrest across the country during a weekend of demonstrations marking one year since Mohammed Morsi became the country’s first Islamist president. Up to 50,000 people were estimated to be protesting in Assiut last night with reports stating that seven million people turned out to protest across Egypt. A petition opposing Mr. Morsi and calling for early presidential elections has attracted up to 20 million signatures, outnumbering votes cast for Mr. Morsi in last year’s presidential elections. Mr. Kyrke-Smith passed on a plea from Bishop Kyrillos to pray for the Christian community in a country being racked by protests. Speaking to Bishop Johannes Zakaria in Luxor this morning (Monday 1st July), Mr. Kyrke-Smith was asked to convey the message that the Church was praying for peace and for all citizens of Egypt regardless of religion.